TFO stands for "Tecmo Fantasy Owners". The idea and rom hack are ran by the TFO Commish Roger. The entire project is named "Tecmo Fantasy Owners Football League" or "TFO Football League". Each team in the TFO Football League has been created by a different person; an Owner of a TFO Team. These owners set the stats, names, colors, logos, and superstar players for their team via an RPG like application they were sent. In essence they have "purchased" their dream teams. 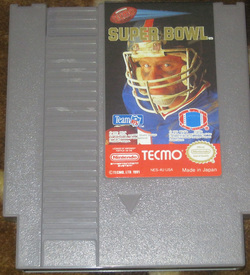 Originally after each owner submitted their team it was hacked into the original Tecmo Super Bowl for the NES. During the 2013 Season this was 24 teams in total, and in the 2014-2016 Seasons the team limit was increased to 28 teams, and for the 2017 Season and on the team limit was increased to 36 teams thanks to the use of two rom files. To make things more interesting instead of releasing the rom right away we document each season of TFO Football through our weekly programming, with our season started the week after the NFL Superbowl. Each week TFO brings out full game footage, commentary games, video highlights, and other YouTube updates and scheduled TFO programming. Season 1 of TFO (2013 Season) started on February 7th 2013. That season had 24 teams that played in an 11 week season, with the 12 teams making the Playoffs. The first ever TFO Championship (The Shiva Bowl) was held on May 25th 2013 and crowned the Westeros Guardians (Owner Kyle Kniss) as the first ever TFO Champions. Season 2 of TFO (2014 Season) kicked off on February 6th 2014, That season had 28 teams that played in a 17 week season (one bye week per team). 12 teams faced off in the playoffs with the second ever TFO Championship (The Ifrit Bowl) being held on July 6th 2014 and crowned the Normandy Defenders (Owner Chris McCleese) as the second ever TFO Champions. Season 3 of TFO (2015 Season) kicked off on February 5th 2015, That season had 28 teams that played in a 17 week season (one bye week per team). 12 teams faced off in the playoffs with the third ever TFO Championship (The Titan Bowl) being held on June 28th 2015 and crowned the Cleveland Steamers (Owner Ryan Anderson) as the third ever TFO Champions. Season 4 of TFO (2016 Season) kicked off on February 11th 2016, That season had 28 teams that played in a 17 week season (one bye week per team). 12 teams faced off in the playoffs with the fourth ever TFO Championship (The Odin Bowl) being held on July 10th 2016 and crowned The Beergods (Owner Dave Fogle) as the fourth ever TFO Champions. Season 5 of TFO (2017 Season) kicked off on February 8th 2017, That season had 36 teams that played in a 17 week season (one bye week per team). 20 teams faced off in the playoffs with the fifth ever TFO Championship (The Choco Bowl) being held on July 23rd 2017 and crowned the Street Fighters (Owner Frank Balog) as the fifth ever TFO Champions. ​Season 6 of TFO (2018 Season) kicked off on February 13th 2018, That season had 36 teams that played in a 17 week season (one bye week per team). 20 teams faced off in the playoffs with the fifth ever TFO Championship (The Terra Bowl) being held on August 4th 2018 and crowned the Spank Bank (Owner Kurrie Boddorf) as the sixth ever TFO Champions. Season 7 of TFO (2019 Season) kicks off on February 5th 2019!!! And once a season is over we release the hacked version of the games for everyone to play! Game will contain all TFO Teams, the entire season schedule programmed in, along with a few specials and bonus extras! THIS IS EPIC! THIS IS TFO! SO the question now is... Are You Ready For Some 8-bit Football??!!!!!! !